When advertising honcho Pann Lim took his mother to an industry awards ceremony in 2013, it stirred up some old memories. Mr Lim, 42, and his team at Kinetic Singapore, a creative agency whose clients include property giant City Developments, online store Lazada and car firm Mini Asia, won a string of Creative Circle Awards that night. 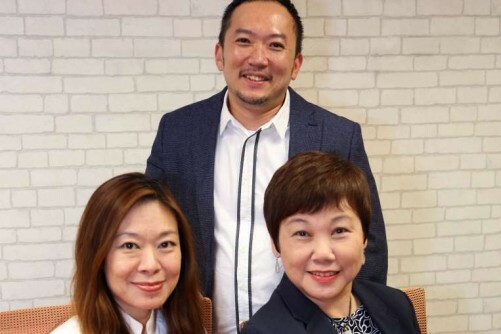 It was "special" having his mother, retired primary school teacher Ching Guek Chow, 72, there as the firm swooped up wins that included Design Agency of the Year and Independent Agency of the Year. "I felt that, finally, I didn't let her down. I didn't do her proud for so many years," says Mr Lim, co-founder and creative director of Kinetic Singapore. It was perhaps a surprising sentiment from the advertising industry veteran. The father of two, whose full name is Lim Shue Pann, went on to win the prestigious President's Design Award for Designer of the Year a month later. He has amassed more than 350 awards since he started at Kinetic Singapore in 2001. Named the country's Most Influential Creative Director by the Institute of Advertising Singapore in 2012, he was also the lead guitarist of veteran indie rock band Concave Scream, which he co-founded in 1994. Despite these accomplishments, he had harboured "a feeling of guilt" towards his parents because he "struggled badly" at school. He failed examinations or did not turn up for them when he knew he would not pass. He forged his parents' signatures in his report cards to avoid showing them his bad grades and copied schoolmates' homework. He skipped school and picked up smoking at 14, quitting the habit only about two decades later. He took "probably all the courses" offered, trying out commerce, accounting, management, science and the humanities, but finding "no connection" with anything he studied. He trudged through eight schools - two primary, one secondary, two pre-university centres, two junior colleges and one polytechnic. He excelled only in art, a shining constant from his earliest school days. Fond of doodling in kindergarten, he won first prize in an art competition at age five. He also liked some aspects of economics, a foretaste of an inclination for business later in life. Even after he failed his English language examination for the O levels, scoring a D7 that disqualified him from going to junior college, he still felt that he needed to get a university degree to pave his way in society. He retook the subject and entered Tampines Junior College, albeit after spending a few months trying some pre-university courses first.He never got an A-level certificate. “I’d been failing all my life, but my parents never scolded me, never said, ‘Why are you like that?’” says Mr Lim, adding that he “embarrassed” his educator mum. Madam Ching, who taught Chinese and music in Haig Girls’ School, says she never compared him with other children when her colleagues talked about their kids doing well. She drilled the youngest of her three children in his school work, but realised, when she used sweets to illustrate subtraction, that he could not grasp simple arithmetic. When she “nagged him a little”, Mr Lim’s late father, violin tutor Lim Tiap Guan, asked her to stop. Madam Ching, a trained soprano, says that the young Pann was an obedient, considerate child who volunteered to wash the dishes when she had to rush to teach choir at the People’s Association three times a week. Coming from a family of musicians, Mr Lim was brought up in a creative environment. His sister, Ms Lim Shue Churn, 50, is a professional violinist and his 45-year-old brother, Mr Lim Shue Mann, who works in IT, is also a musician who plays gigs. While his parents accepted Mr Pann Lim’s academic limitations, they pushed him to stick with learning the piano, which he started at five years old and continued till he took his Grade 8 examination. Their home was filled with music, from Bach to Mozart, though Mr Lim also listened to genres such as death metal, alternative rock and jazz. His father, who died at 59 in 1998 from liver cancer, would occasionally ask his children when they were young to interpret the use of colour in Chinese paintings, another of his interests. 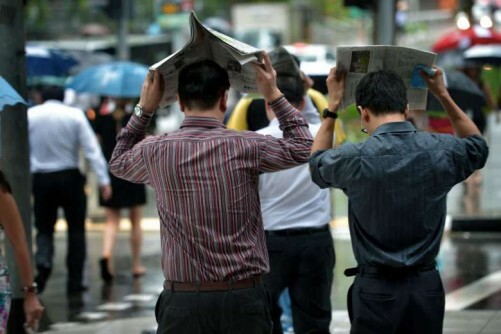 The senior Mr Lim had a mantra in Hokkien, his native tongue – zor hou seh (do it properly) – which Pann took to heart. By the time he was doing his national service as an army store man, which he describes as a period when he felt “aimless”, he wanted to find a focus to apply this mantra. It was around this time that he started to find his groove, with a little help from his friends. “In Tampines JC, I met a lot of people who changed my life,” says Mr Lim. During his army days, he co-founded Concave Scream with a friend from Tampines Junior College, Mr Sean Lam, the lead vocalist for the band whose line-up changed over the years. Concave Scream released their fifth album about eight years ago. Regarded as a group that trod a path followed by other homegrown bands in the nascent 1990s indie scene, Mr Lim is nonetheless modest about his musical ability. “I don’t feel that I am good enough to be labelled a musician, but I dare to put the title, creative director, under my name because that’s something I can excel in,” he says. “I need to be honest with myself deep down. I want to be true to myself. Another junior college alumnus, Ms Leng Soh, suggested that he look at the visual communications course at Temasek Polytechnic. Mr Lim applied for the diploma course after national service and knew that design and advertising were the life’s work that he had been searching for. It was a certainty that was instinctive for him. “You must look at work like your spouse,” he says. In fact, he met his future wife, Ms Claire Lim, 41, on their first day as classmates at Temasek Polytechnic. Married for 15 years, they have a son, Renn, 11, a Primary 6 pupil at Tanjong Katong Primary School; and a daughter, Aira, nine, who studies at Haig Girls’ School. To bolster their student portfolios, Ms Lim and Mr Lim approached businesses at Far East Plaza for jobs and charged a mere $50 for designing namecards, brochures and fliers. Looking for real work as students paid dividends. When Mr Chris Lee, founder of Asylum agency and a leading light in the advertising industry in Singapore, saw the work Mr Lim did as a student, he was impressed by his “passion, craft and maturity”. He also noticed Mr Lim’s passion for mentoring and educating the young when they started working together a few years ago in The Design Society, a non-profit group formed to document graphic design and grow Singapore’s influence in this arena. Mr Lee was the president of the society then and Mr Lim was a founding member. Mr Lim says his “love of teaching” stemmed from his earlier academic struggles. He finished a two-year stint as an adjunct lecturer at Temasek Polytechnic last year and gives talks to students on design and advertising. 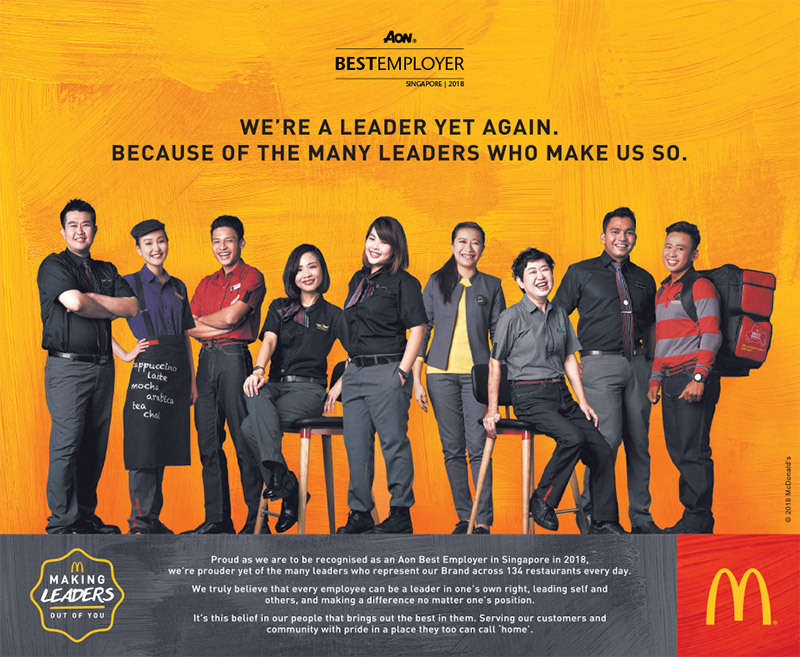 His first jobs were in big agencies – first at DDB Singapore, then at Batey Ads. When his Tampines JC friend, Ms Carolyn Teo, invited him to start the print and design arm of her successful interactive company, he jumped at the chance. He wanted a closer-knit work environment, an “antithesis” to a big agency, which Kinetic Singapore provided. It started with four employees and now has 20. The agency goes on annual holidays together, whenever possible, with families welcome, including to Europe and Japan. It is a way to suss out leadership qualities or less desirable traits, such as when staff are not punctual for outings, says Mr Lim. It is a “culture of kinship”, where people try and live with one another, warts and all, he adds. He walks the talk with a laid-back humility that shows up in other areas. 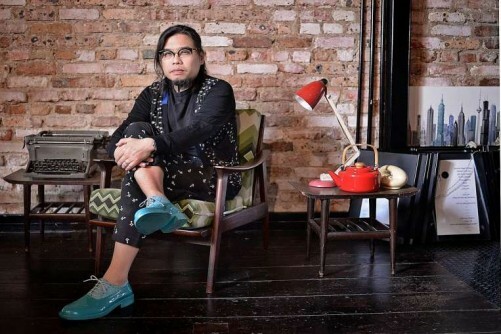 During the photo shoot for this article, Mr Lim rocks an artsy vibe, with his trademark drop-crotch trousers and sporting a ponytail and goatee that he says were plaited by his wife. Out of “respect for the shoot”, he wears turquoise plastic Vivienne Westwood shoes, only to slip on comfortable flip-flops after the photos are taken. Neither does he have a designated workspace, hot-seating it in the Kinetic office, a converted shophouse in Joo Chiat. Ms Teo, who founded Kinetic in 1999, says she invited just two people she trusted to join the design and advertising arm in 2001 – Mr Lim and her husband, Mr Roy Poh. She says Mr Lim “even clears the choked toilet” in the office when necessary. In line with this ethos of equality and a flat office structure, Kinetic Singapore also has a democratic voting process, where each creative votes on the best project briefs. The one with the most votes wins, regardless of seniority. Asylum’s Mr Lee recalls how Mr Lim, whom he has known for about 18 years, “puts his team ahead of himself”. He cites an exhibition for Nike that Kinetic Singapore did, where Mr Lim hunkered down with his colleagues to the task of creating an installation where “thousands of shoe laces dangled from the ceiling”, as Mr Lim describes it. He credits his wife with giving him “peace of mind” to focus on his work. Ms Lim, a graphic designer turned stay-at-home mum, recalls how, when both of them worked, they realised that the long hours and intense work culture in advertising were not conducive for family life. Mr Lim says he and his wife are “on the same page” about parenting and life. The couple have had a joint account, their only bank account, since their school days, he says. The family live in a semi-detached house in Kembangan that is “full of art, books, furniture, design items, vinyls and guitars”. In 2011, he realised while he was giving talks and educating youth about design, that he was not mentoring his own children, Renn and Aira, in a structured way. “I’d been doing creative work and music for myself. It was time to do things for my family,” he says. What resulted was a family art collective, Holycrap.sg (quirkily named after he decided to embrace their joint initials, C.R.A.P), and a magazine, Rubbish Famzine. The children create artworks based on themes for exhibitions, such as a 2013 family trip to Japan, where they used Google Translate on their iPads as they visited Tokyo and Kyoto. 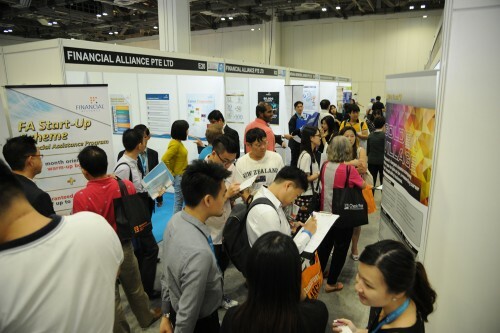 There have been four annual exhibitions so far, held mostly in private galleries here, and they have won some awards, including New York One Show Awards and Singapore Creative Circle Awards. The family spend weekends working on these art projects, with the children occasionally sacrificing birthday parties to work on their art. When Mr Lim was 38, he had a health scare –he had a stent put in his heart because of a blocked artery. It was a wake-up call of a happy sort. Taking stock of his life, he mused that he had taken care of his family and treated his friends as best he could. And he had done his best in his creative work. “I have always lived my life the way I wanted. I cannot ask for anything more,” he says.